You have only fifteen minutes maybe less except for the shows that let you roll thirty minutes. Those are the ones where you can stretch your legs and get into the meat of the book but for many drive time shows you have less than ten minutes to get your point across and if you blow it there is no do over because it is live. And so you wait for the phone to ring and set yourself up in a quiet room and tell everyone you are on the radio and please don't open that door or call out my name while I'm on the phone. So you have your coffee and your notes and you have to be careful not to ramble and not speak too fast but you don't want to squander your time either. Getting a book down to sound bytes that will come across while someone is driving down the expressway is tricky. You have to hit the high points and your book may be three hundred pages but you can only get across a few moments that will stay with the listener and hopefully get him to buy your book. So it is one minute now. You have two phones ready in case one fails. The producers usually call right on the minute. And there it is. Hi, Is this William? Yes. Ok. Sixty seconds and you are on. So now you can hear the show. It is buzzing in your ear. A commercial. And then you are on. You will either do this or not. The show sounds distant and then it gets loud, there is a long hiss and now you are live. 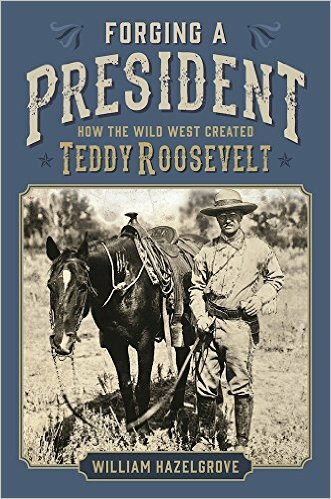 And we have author William Hazelgrove and his new book Forging A President to tell us about Teddy Roosevelt, William, welcome to the show!